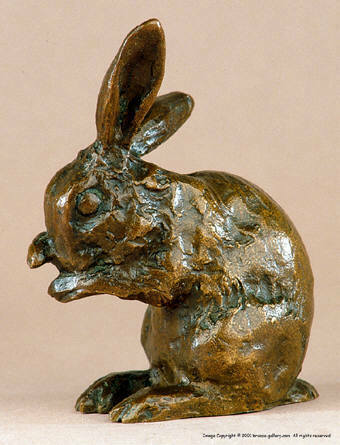 Brenda Putnam created these small animal bronzes just prior to the outbreak of the second World War. 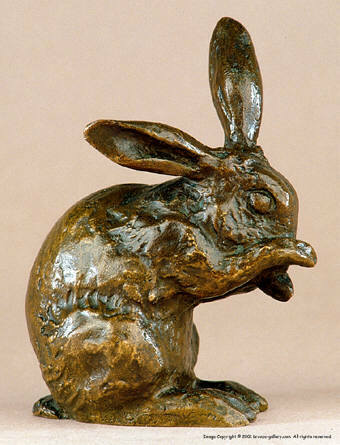 Bronze was a strategic metal during the war and as such these small animal sculptures were cast in very small numbers. Her small model of a Rabbit grooming herself is a sensitive portrait showing a relaxed bunny washing her face with her front paws. It is finished with a warm brown patina.